Alloy WERKSTOFF NR. 2.4660 Round Bars, 20Cb-3® Forged Bars Exporter, Suppliers of ASTM B473 Alloy 20 Hex Bar, Alloy 20 Round Bar, Alloy 20 Square Bar Manufacturer in India. Ganpat Industrial Corporation possess proficiency in trading and supplying extensive collection of Alloy 20 Round Bars that are hard – wearing in nature and have widespread applications. These Alloy 20 Square Bars has outstanding resistance to corrosion, pitting and crevice corrosion. Specially designed to endure sulfuric acid, our Alloy 20 Flat Bars offers outstanding corrosion resistance. These Alloy 20 Threaded Bars is chromium – nickel – molybdenum alloy that was industrialized for applications comprising acid attack, precisely sulfuric acid. Our Alloy 20 Hollow Bars (UNS N08020) are generally used in Manufacture of synthetic fibers and plastics, Petroleum and Chemical processing machinery, and so on. Meanwhile, our Alloy 20 Hexagonal Bars are also being offered in different sizes and shapes to our customers, where we also offer the same at best prices. These Alloy 20 Triangular Bars of the same name with the designation “Cb-3” indicates Columbium stabilized. Our Alloy 20 Bars is often chosen to solve stress corrosion cracking problems, which may occur with 316L stainless. The characteristics of these Alloy 20 Rods are at the border between stainless steel and nickel due to the high nickel content. Our Carpenter 20 Round Bars is as a result referred to either as a stainless steel or as a nickel alloy. These Carpenter 20 Rods is a metal alloy consisting mostly of iron, in addition to small amounts of carbon, depending on the grade and quality of the steel. Alloy 20 Black Bar, Hot Rolled Alloy 20 Round Bar, Incoloy® alloy 20 Cold Drawn Round Bar, Alloy 20 Polished Bar, Specialist Distributor of ASTM B473 Alloy Threaded Bar, Alloy 20 Flat Bar, Exporter in India. We focus on every procedure to assure quality, the package we usually take is pack Alloy 20 Round Bar with environmental poly bags, and then in free fumigation wooden cases or wooden palte. Also can accept customized package such as OEM by negotiation. We offers just about everything to meet your Alloy 20 Round Bar pack requirements. Lot of emphasis is placed on the packing and packaging. The AISI 20 Round Bar are packed in wooden corrugated boxes foiled in plastic wraps and bubble wraps. 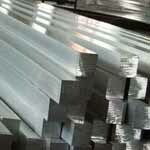 alloy 20 bar price list, 20 alloy round bar, alloy 20 round bar price in india, alloy 20 flat bar stock, alloy 20 round bar price list india, alloy 20 bright bar manufacturer in gujarat, alloy 20 rod price per kg in india, 20 alloy round bar manufacturer in india, alloy 20 rod price in india, alloy 20 rod manufacturers in india, alloy 20 round bar suppliers, 20 alloy rod 1/8, alloy 20 round bar stock, 3/16 alloy 20 rod, alloy 20 round bar sizes, 20 alloy round bar, 20 alloy rod manufacturers, alloy 20 rod india, 20 alloy bar manufacturers usa, 20 alloy round bar price, alloy 20 flat bar sizes, alloy 20 flat bar prices, 3/16 alloy 20 threaded rod, 1 inch diameter alloy 20 rod, alloy 20 flat bar stock, alloy 20 rod sizes chart.